When we think of John Lennon, we think of so many different things: the Beatle, the Peacenik, the outspoken sage and wit, the retired house-husband, the seeker of enlightenment, the visionary. John Lennon is a hero to many. In these days of uncertainty and profound change, many look for heroes, perhaps without any clear idea of what a hero truly is. The mythological archetype of the hero is an ordinary human being who made an unexpected and extraordinary journey into another (surreal) world, where he faced seemingly insurmountable odds and accomplished super-human deeds. By his actions, he earned the right to return to his own life, having gained a kind of wisdom unavailable to the average person. From that time forward, he lived a charmed life, while still being set apart from the general population as an obvious leader. I think from the standpoint of real life, we see a hero as one who rises above their circumstances, and most certainly their fears, to accomplish feats their peers would believe to be out of reach. I believe John clearly fits the criteria of both these definitions. He rose above the personal pain of abandonment by both his parents--twice by his mother--to make his unexpected journey into the very surreal world of Beatlemania. Through his experience as a Beatle, he changed the world, musically, culturally, spiritually--forever. Recent events in our world have caused many to reevaluate what a hero might be. Perhaps there is a new found knowledge that (at least some) heroes are human beings, with all the weakness that implies, but for John, that was not the case. He was a part of the timing when the vast majority of our heroes were found among those who lived larger than life, and he suffered dearly because of it. 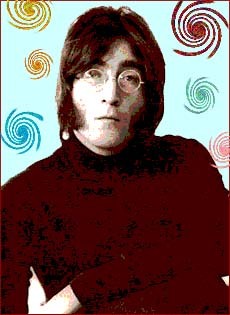 John Lennon remains present in my life every day, in his music, his wit and his wisdom. But even more than that, he is present in the examples he set for all of us, to live in truth; in integrity and courage, no matter what the cost. 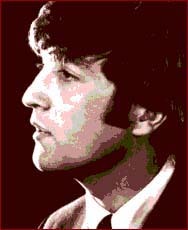 Ultimately, it cost John his life, but I wouldn't have had him live his life in any diminished way in order to extend it. He is too great a gift to us because of who he was. It is not only the most difficult of challenges to live in one's truth, it is the ultimate danger. Those who are unable to live in integrity hate those who do. But I believe many are able to see the value in John's example, and this gives me hope for the future. Were playing those mind games forever, projecting our images in space and in time... is such a crystal clear acknowledgement that physical life is illusion; a game from which we learn. This provides a profound inspiration for me, as an example that I alone am responsible for the reality I create--to inspire me to always look for the lesson in each circumstance. This is the key to moving forward with peace of mind. 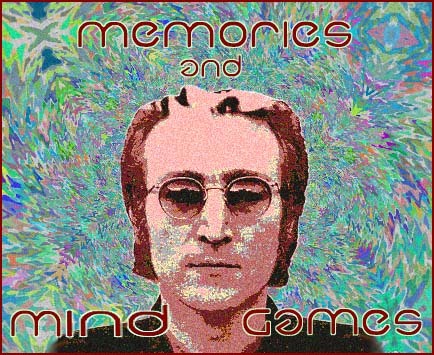 Keep on playing those mind games together... Physical reality is a consensus. We are all doing this together, to learn. We agree to certain realities to benefit all our learning processes, because what benefits one benefits all. We are all a part of the one. And of course, Love is the answer... and truly it is, in ways we both understand and can never understand as humans. All is love, Love is all, love is the answer. Faith in the Future, outta the now... Be Here Now. Create in the NOW and you can trust the future. Be somewhere else--yesterday, last week, tomorrow--and you create chaos.  NOW is where the power point of creation is. Yes is the answer...Yes is surrender... Ah, sweet surrender: to trust, to God, to allowing...there is nothing so rewarding as this. And then there's the melody; so hypnotic, so encompassing, that it sends me to a place of absolute peace whenever I hear it. It makes everything OK, no matter what. It is a balm and a tonic to the tired spirit--the hope and strength to go on, when I feel I simply cannot. 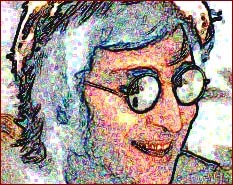 John was one of those individuals who was truly ahead of his time, and perhaps his time has finally come. He is the perfect example for this timing. He did his best to create peace and goodness, through telling the truth; through refusing to accept anything less. And this is exactly what it takes to create peace and goodness. These goals, which have been so elusive to humanity, have been so because we have not approached the creation of peace and goodness through true strength, but rather through weakness, and the illusion of strength. We have attempted to create peace through lies, for fear of hurting feelings, and in so doing, we hurt each other far more than we can ever realize. Peace and goodness are not created by platitudes spoken by those who prefer to keep their heads in the sand. Peace and goodness are created by speaking ones truth, in strength and with respect. Anything less can create nothing but misunderstanding--that from which all conflict arises. The truth is, each of us has the potential to be a hero in some way, be it large or small. John Lennon is right up there with the biggest and brightest stars in the galaxy of heroes, and to me, he will always be perhaps the most important one.